Today I have spent time honoring my ancestors, of blood, of milk and of tradition – the Witches, Shamans and Mages who have gone before. Yesterday was Thanksgiving, and on this special day of family, I wore a necklace I was gifted from my grandmother upon her death in 2011 – my first set of amber and jet high priestess beads. Amazing that it has already been five years! I have thought of her many times today as I change my Thanksgiving decorations and think about my Yule and Christmas decorations. Six days before I helped my grandmother to cross over upon her death, I wrote an essay to honor Ted Andrews on Dec. 4, 2011. In the spirit of honoring our ancestors, I am reminded today of Ted Andrews. He was one of my first teachers, he is one of my spirit guides, and his work has always called to me as a part of my path. This essay appeared in the anthology Ancestors of the Craft, published 2014. I donated use of the essay in the book as a fundraiser to benefit a 501c3. I retained all rights to the essay and am now called to share it here with you. Animal-Speak. That is one of the first books I was repeatedly told to read. I wondered why. What is it that is so special about this book? Who is this Ted Andrews? A trip to a local bookstore, and I had my own copy. I had started on the path of the Witch, but as everyone knows, there are many different paths that converge even within Witchcraft. Like many who come to this path, I spent years doing comparative religious study before I became a Witch. 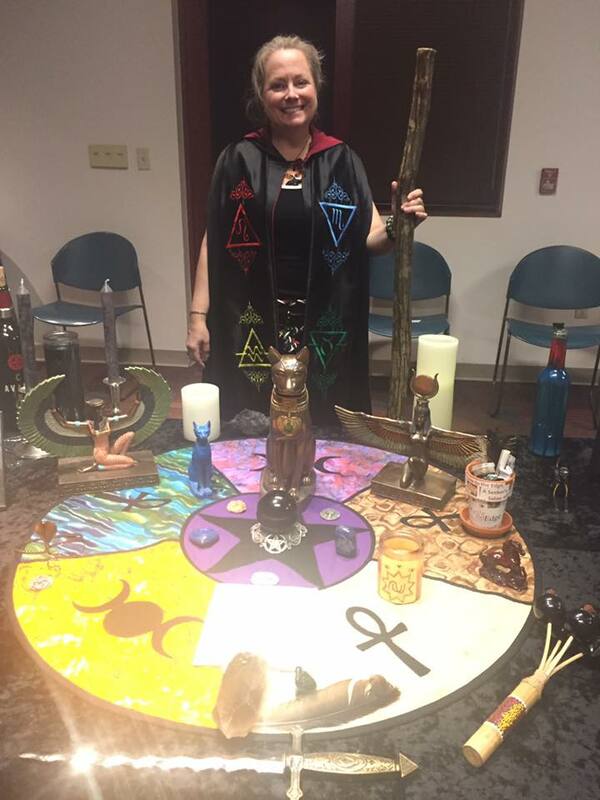 Once I started in earnest as a Witch, I began with my own solitary study and practice. Then, I started taking classes on intuition, psychic development and more – though from teachers who would describe themselves as something other than a witch, and I did not tell them the word I used to identify myself. Along the way, I read Animal-Speak: The Spiritual and Magical Powers of Creatures Great and Small, and started to watch the way of the animals. I had not yet learned that I was hearing their voices and messages already – I just needed to stop, be silent and truly listen to their story. I met Ted Andrews during the two years that I spent with a small group solely dedicated to shamanism. He did a book signing and taught an afternoon program that spring on animals at a pagan shop in St. Louis. Before this, though I had teachers, none of them were witches or really on the pagan path. I had never really spent time talking with a witch or someone identifying as a pagan, though I already was a frequent visitor to this shop, and had met witches in Salem, MA where I bought my first witchcraft books years before, which happened to be at Laurie Cabot’s shop (before visiting her shop, I did not know who she was, and many years later I went back and took a class from her as well). Everything comes in its own time. Ted Andrews was approachable, as was his writing, which is part of what makes him so attractive to so many. His books are readable and easy to understand, yet contain amazing insights on so many shamanic, magickal and witchcraft related subjects. Yet, he is the first author that many read, because Animal-Speak is more main stream, more known and acceptable to the general pubic. It is less scary and intimidating. It is safe. You can tell people that you just bought this great book on animals, and it is somehow o.k. You can also recommend it to others who have a need, but have not yet quite realized their path. I believe Ted Andrews has been responsible for gently bringing many onto the path of the witch and to the pagan community at large with his messages and the messages of those spirits and guides whose stories he so gracefully told. He was a magickal speaker. In both my experience in the class with him, and in his cds, it was clear that he could weave a yarn with the beauty that the spider weaves its web. His love for animals – and their love of him – shined through his words in such a way that had the power to move you and help you reach understanding. You felt the presence of the animals and their spirits. He helped you find and realize those “ah-ha” moments that we prize so greatly on this path. He was present – simply present in the moment, and you could see it in his eyes. One of the things that struck me the most was his love for and description of animals at which most would turn up their noses. I mean, Skunk? Vultures? Spiders? Really? But he made their stories into a thing of beauty – because it is about their medicine and their own unique skills and abilities to heal. What a gift in this he gave me and the world. He made the story of the opossum beautiful as well – this little, persistent and quiet creature who teaches us of the wisdom in stillness and silence. He made you want to have this creature as your animal ally, what he called an animal totem. Opossum has come to me over the years, and it has been an ally, though it was not until years later that I truly understood its message, and its message is profound. One of the things he said about opossums that was surprising to me, was that if you see an opossum dead on the side of the road, to get out and check it as it may have babies still alive somehow in a pocket inside of it. He told stories of saving these baby opossums. I never looked the same at an opossum again. Each time I drove by an animal’s sacrifice on the road, I did what he recommended and sent a blessing of peace to it. Ted Andrews said that it was an honor for an animal to feel safe on your property to come onto your land and chose to die there. Ted Andrew’s message was to honor the animal by studying it in all ways, developing a relationship with it, bringing its qualities into your life, and then it will truly become medicine for you. Another message that stuck with me over the years, tied into this, was that the animals you are most afraid of have the most to teach you. He had several key messages on how to study and honor the animals. Study its biological rhythm. Study its natural characteristics and qualities. Look at how the animal adapts to survive. Consider the environment where it is found and how it relates to other animals. Try to connect with the animal by studying its movements and imitate it. In my first shamanic journey that I ever did, in the autumn six months prior to meeting Ted Andrews, the Black Panther and Hawk came to me. As I sat in his class that spring, literally his first message in this talk, though he was speaking about no animal being more spiritual than another, was about the black panther. I knew what I had read about the panther, but was just beginning to truly know it. Ted Andrews described the black panther as a healer, but one that has trauma before healing takes place and said that it was not as gentle of a healer as the Vulture. Vulture again? I later learned to understand the beauty of Vulture’s medicine as an ally as well. He also said that Black Panther teaches how we come into our own power. Much of my journey since meeting Ted Andrews has been along those lines, and I have made great strides. Ted Andrews is the first teacher that I spoke to about my black panther, which was still at the point where I was still trying to figure it all out – what is this animal? What is this relationship? What does it mean in my life? I asked him about my black panther and described my journey. He said that as the black panther was taking me to other animals, that it was what he called my watcher. His words and his kindness helped me to begin to develop my relationship with the Black Panther. Where Ted Andrews left off, then a new teacher appeared to help me on my journey, and the Black Panther became my Fetch Beast. Today, we do not have Ted Andrews here with us for everyone to hear these messages directly, but we have his books and the messages of the animals shine through the words on the page. Ted Andrews also introduced me to Hawk, one of my allies. He said that many times students would come to him and then later would see Hawk everywhere, and Hawk would become an ally for them. He would open the door that Hawk was already waiting for you to walk through. In my case, it was the Black Panther, Hawk and Vulture. He shared his current with me to awaken all of that which was just beneath the surface, and he showed up at just the right time in my life given my recent journey experiences with these animals. 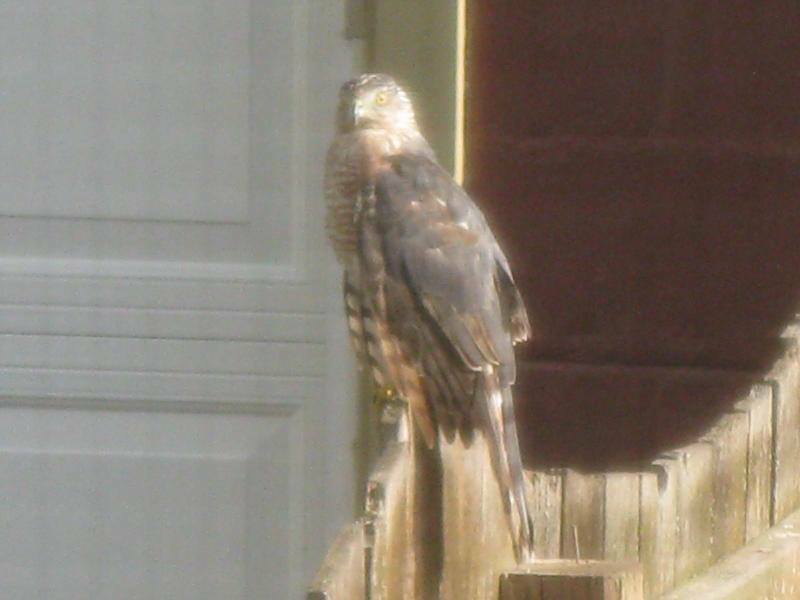 After I met Ted Andrews, the visits from Hawk and Vulture accelerated. Every time I drove anywhere, particularly to our family farm, there was Hawk and Vulture. He was right. He had us do a journey that he called an “exercise” – yes, definitely approachable. He said it would bring about encounters with animals and a response in our normal, everyday life. When he took us into the journey, there was Hawk, Oak, the Black Panther, Horse, Deer, and before I left the journey, I took Black Panther into myself. These have all become strong allies for me over the years. Ted Andrews had a profound impact on my spiritual path and practice. He died on October 24, 2009, the day before my birthday. I felt his death strongly. Our circle, soon to become a coven, my second one, included him in our Samhain ritual that fall and honored his presence in our lives and the gifts he gave us. There were many changes in my life at that time, and the Morrighan was just beginning the process where she would eventually become my Matron. I felt his presence a great deal that fall, and he still continued to give me his gifts and markers on my path after his death. I found and started to use his Animal Wise Tarot deck around that time, and I found such wisdom in it. For years, I had not been able to really understand the tarot. I had practiced with it, studied it on my own, but it just would not click for me. Tarot would not speak to me. When I picked up this deck, the animals on its cards and their messages in his pages really helped me to bridge the gap between the animals and the tarot. It was another ah-ha moment that he helped me to find along my path. I now have many tarot decks and use them regularly in many different ways. Each time, I think of his gift at making the tarot accessible in a way that I could truly begin to understand its wisdom. Another thing struck me after he left this earth. I had several of his books, but mostly the ones related to animals. As I looked into it more, and studied him more as a way of honoring his presence on this earth and the gifts he gave me, I found a breadth of writings on so many topics – trees, plants, elements, Faery, Tree of Life/Qabalah, magick and more. I have quite a collection of his books in my mystical library and feel I have still barely scratched the surface of the wisdom they contain. What a legacy and gift he has left generations to come. I only wish they could hear his voice, but now it will be whispers on the winds and from the animals and spirits who greatly loved him. I too was blessed to have had Ted Andrews for a teacher/guide. I still have a number of the handouts that he gave us for the classes in metaphysics that he led us in. I suspect that they then evolved to become the books that were later published. It was a magical time of learning with him!! Thank you for refreshing my memories of his classes. Thanks so much for sharing, Jade! What a beautiful and magickal experience. And you’re welcome!